We are honored to have the opportunity to fly the following Veterans to their memorials in Washington D.C.
We ask you continue to honor the sacrifice and service by sharing their legacy. Roll over / click each image to read more about the lives of those who have made a profound impact on our Nation. 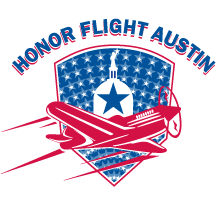 If a Veteran has passed on and participated on our flight, please email tina.lee@honorflightaustin.org so that we may add them to our page.